It’s an interesting and challenging time to be working in the cyber security industry. By and large, research indicates that cybercrime is on the rise — news headlines support these findings as major companies like Marriott, Equifax, Yahoo, and Facebook find themselves in the crosshairs of cyber attacks. Even sacrosanct governmental election processes the world over are not excluded from falling prey to cybercriminals and are a part of the increasing statistics about cyber security and cyber attacks. In this article, we’ll present you with essential cyber security statistics but also want to take a moment to recognize that this incredibly broad category encompasses many areas of concern for individuals, IT security professionals, and business leaders alike. This range of topics include everything from cyber security vulnerabilities such as unpatched software and expired security certificates to the costs of cyber security attacks to the number of businesses that implement adequate (or inadequate) cybersecurity measures and policies. Cyber security statistics also includes a variety of other topics, but we have neither the time (nor the attention span) to cover all of them in one article. So, we’ll limit it to several categories but will cover other areas in a future article. So, what numbers have made our list of the 80 top cyber security statistics for 2019? As the saying goes around here: Let’s hash it out. The cybercrime economy has grown to enjoy at least $1.5 trillion in profits each year. The value of the cyber security market is anticipated to reach $300 billion by 2024, according to a 2019 press release by Global Market Insights, Inc. Despite data breaches rising at inordinate rates each year, Juniper Research’s Cybercrime & the Internet of Threats 2018 report anticipates cyber security spending will only increase by 9% on average per company, per annum. The average amount small businesses spend on consumer-grade cyber security products each year, according to Juniper Research’s 2018 study. This constituted 13% of the overall cybersecurity market that year. Cybersecurity Ventures estimates that women will represent 20% of the global cybersecurity workforce by the end of the year, according to a company press release. 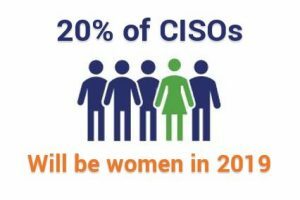 Women are anticipated to hold 20% of Chief Information Security Officer (CISO) roles in the cybersecurity workforce by the end of the year, according to Forrester’s Cyber Predictions for 2019. This number is up from 13% in 2017. The average number of days between when a data breach was discovered and reported was nearly 50 days in 2018, according to a report from security intelligence vendor Risk Based Security (RBS). The percentage of all cryptocurrency transactions predicted to be used for illicit activity is anticipated to be 70% by 2021, according to the Cybersecurity Almanac 2019 by Cybersecurity Ventures. The percentage by which security breaches have increased over the past year, according to the Ninth Annual Cost of Cybercrime global study by Accenture. Over the past five years, security breaches have increased by 67%, according to Accenture’s global survey. SCORE reports that 43% of cyber attacks target small businesses. The frequency in which Cybersecurity Ventures predicts that a business will fall victim to a ransomware attack this year in its 2019 Official Annual Cybercrime Report (ACR). The company also estimates that number will increase to every 11 seconds by 2021. The costs and damages that result from unaddressed cyber security vulnerabilities are, by no means, chump change. Cyber security attacks statistics should be an eye-opener for every company — particularly those that operate under the assumption (or with the hope) that a cyber attack will never happen to them. Anyone who thinks that their company — no matter how small or large — is not at risk because they lack cyber security vulnerabilities is fooling themselves. Simply put, as technologies evolve and cyber criminals become more advanced, it is a matter of when, not if cyber security attacks will occur. The Cybersecurity Ventures annual crime report indicates that the same costs will reach $11.5 billion annually this year and $20 billion per year by 2021. Unsurprisingly, this type of year-over-year increase in anticipated damages makes ransomware the fastest-growing type of cybercrime in the past year. The average cost of cybercrime for an organization is estimated to be $13 million per year, according to Accenture’s global study. Cybercrime tools and kits can be purchased for as little as $1 on the Dark Web and online marketplaces, according to the Cybersecurity Almanac 2019 by Cybersecurity Ventures. When we’re talking about victims of cyber security attacks[, we’re referring to individuals, companies, and other organizations that are targeted or victimized in some way. The goal for cyber criminals is often to acquire information — personal information, names, addresses, financial and other account information, passwords, trade secrets, intellectual property, etc. — that can be used, traded, or sold on the Dark Web. They accomplish these goals through a variety of methods such as phishing and spear phishing emails, URL hijacking, structured query language (SQL) injections, and man-in-the-middle (MitM) attacks, as well as a litany of other methods. In some cases, the goal is purely financial — they seek to manipulate and trick targeted employees into making large wire transfers to fraudulent accounts through business email compromise (BEC) and CEO fraud attack tactics. Why should the modern criminal go through the hassle of trying to rob a bank the old-fashioned way when they can get the employees at virtually any company to fork over thousands or even millions of dollars to them unwittingly? While this is something many Americans are usually proud to chant, in this case, it’s not necessarily a positive attribute. The United States holds first place in the ranks of the top countries that are targeted cyber security attacks, according to Norton Security. All it took was 12 data breaches to expose 100 million (or more) sensitive records in 2018, according to RBS’s report. These 12 breaches accounted for nearly three-quarters of all records exposed that year. 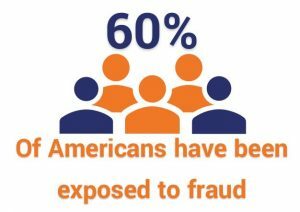 Sixty percent of Americans report they or an immediate family member have been victims of a scheme to defraud, according to research from The Harris Poll and the American Institute of CPAs (AICPA). Nearly one-quarter of surveyed Americans reported they or someone they know were victimized by cybercrime in 2018, according to Gallup’s annual crime survey. Early one-third of surveyed security professionals say their organizations have experienced cyber attacks on operational technology (OT) infrastructure, according to Cisco’s 2018 Security Capabilities Benchmark Study that was published in its 2018 Annual Cybersecurity Report. Donna Gregory, unit chief at the FBI’s Internet Crime Complaint Center (IC3), estimated that only 10-12% of all U.S. cybercrime victims were reported in 2016, according to a New York Times article. The number of organizations that were targeted by phishing attempts in 2017, according to Wombat Security’s State of the Phish 2018 report. This is the number of records that Juniper Research’s Cybercrime & the Internet of Threats 2018 report estimates cybercriminals will steal annually by 2023. The number of records Juniper Research’s 2018 report also estimates will be exposed by criminal data breaches between 2018 and 2023. The report specifies this number represents actual data breaches and not just reported data breaches. According to a global study of 130 organizations by Varonis, 88% of the companies with more than 1,000,000 folders lack appropriate access limitations — leaving 100,000 folders open to everyone (all employees). The report also indicates that 58% of the companies they surveyed have more than 100,000 folders accessible to all employees. 28 – 41% of companies allow all employees access to > 1,000 sensitive files. Varonis’s report indicates that 41% of the companies they surveyed have more than 1,000 sensitive files (those containing credit card information, health records, and personal information that is subject to regulatory compliance) open to all employees. Defining cyber security attacks can be difficult depending on how specific or generic you want to be in your definition. As such, trying to find the “top cyber attack methods” for each industry is virtually impossible because sources and researchers will define such attacks in different ways. For example, phishing emails can involve malware attacks, so researchers can choose to define them by either method. The Cybersecurity Almanac 2019 from Cybersecurity Ventures estimates that ransomware attacks against healthcare organizations will increase by this amount between 2017 and 2021. This isn’t all that surprising considering that healthcare ranks 15th out of 18 U.S. industries with regard to cybersecurity and research shows that hospital employees open one of every seven phishing emails. 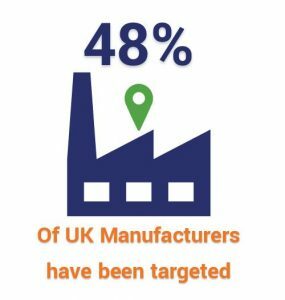 Nearly half of the surveyed manufacturers in the United Kingdom reported being victims of cybercrime or a cyber security incident at some point, according to a report by Make UK and AIG that was carried out by the Royal United Services Institute (RUSI). According to Symantec’s Internet Security Threat Report (ISTR) 2019 report, 38.4% of users in the mining industry were targeted with malicious emails. 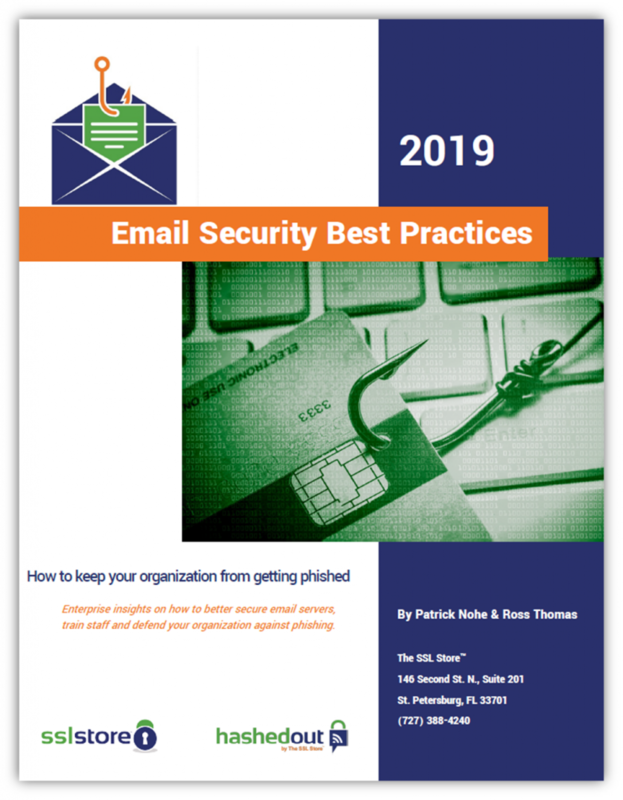 Email users working in the public administration sector receive one malicious email for every 302 emails they receive, according to Symantec’s ISTR 2019 report. According to Kaspersky Lab, there are now more than 20 ATM malware families that pose threats to the banking and finance industry. The personal information of 1.5 billion Indian citizens (photographs, national ID numbers, phone numbers, addresses, postal codes, and email addresses) was exposed in a massive data breach of the nation’s ID database that was discovered in March 2018. The number of “unique combinations of email addresses and passwords” that was discovered in 2019 in a massive breach called “Collection 1.” This load of information was discovered by an IT security researcher and is thought to be the largest breach in history to date, according to an article by Fortune. More than half a billion records about Facebook users were publicly exposed in two app datasets that were digitally stored in two Amazon Simple Storage Service (S3) storage buckets, according to a 2019 announcement by UpGuard. This statistic reflects the number of user accounts that were exposed in a data breach of Marriott’s Starwood guest database, which was disclosed in 2018. The personal information of 340 million U.S. consumers and business contacts was exposed on a publicly accessible server by Exactis, a marketing and data aggregation firm, according to a report by CNET. The number of Fortnite user accounts were exposed when hackers took advantage of an old, unsecured website page to send phishing emails. The flaw was reported in Check Point Research’s January 2019 announcement. 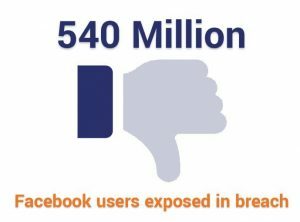 In 2018, 30 million Facebook users were affected by another data breach, according to Consumer Reports. Nearly half (14 million) of those users’ sensitive information was accessed, and the names and contact information of another 15 million were also exposed. Cyber security attacks are some of the fastest-growing crimes in the world — especially for businesses and organizations in the United States. (Juniper Research estimates that the U.S. companies and organizations will be the targets of more than 50% of all cyber attacks by 2023.) As such, there are a lot of statistics in this area that we can cover, including a breakdown of some of the top cyber security threats and a list of some of the most common types of cyber attacks. Although the methods and scale of each attack differ, the ultimate goal of denial of service (DoS) and distributed denial of service (DDoS) attacks is the same: The aim is to flood a resource or targeted system to deny access to those who need it. Internet of Things (IoT) devices are frequently compromised and added to botnets, then used to launch ongoing distributed denial of service malware and brute-force attacks that use common usernames and passwords. As the IoT market continues to grow and more devices are being used across virtually all industries, we anticipate the year’s cyber security statistics will continue to reflect increasing cyber attacks and exploits of this technology in 2019. 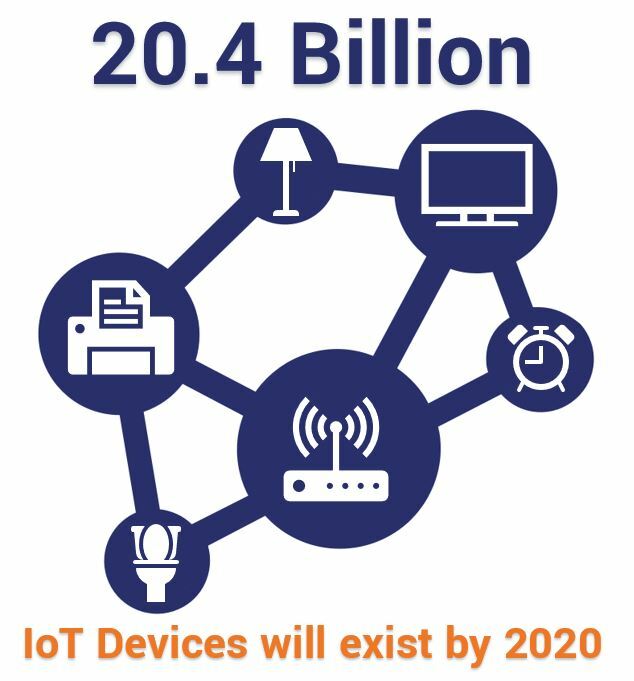 The anticipated number of Internet of Things (IoT) devices that will exist by 2020, according to a press release from Gartner, Inc.
Routers accounted for 75% of IoT attacks in 2018, and connected cameras accounted for 15% of them. The largest DDoS attack on record, according to NETSCOUT Threat Intelligence Report from the second half of 2018, was a 1.7 terabytes per second (TBPS) reflection/amplification attack against a U.S.-based service provider. To provide you with perspective, Netflix recommends five megabits per second for streaming high definition (HD) quality shows and 25 megabits per second for streaming ultra HD quality shows. Eight megabits is equal to one megabyte per second, and one million megabytes is equal to one terabyte. This means that the victim was targeted with an attack using the demand equivalent of streaming 200,000 HD TV shows, or 40,000 ultra HD TV shows, simultaneously. According to the Annual Cyber Security Report 2019 report from Bulletproof, a DoS or DDoS attack could cost an enterprise company more than $2 million or up to $120,000 for a small company. 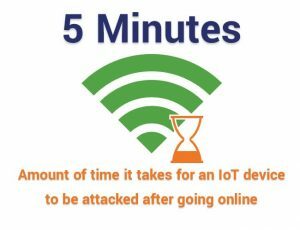 Five minutes is the average amount of time it takes for an IoT device to be attacked once plugged into the Internet, according to a report from NETSCOUT. The percentage of distributed denial of service attacks that originated in China in Q4 2018 fell to 50.43% from 77.67%, according to Kaspersky’s DDoS Q4 Report. The United States came in second with nearly 25% and Australia in third with 4.5%. The low cost per target to purchase a DDoS attack ranging from 290 to 300 gigabits per second, according to an ARS Technica article. 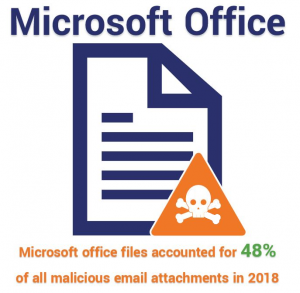 Forty-eight percent of malicious email attachments were Microsoft iOffice files in 2018, according to Symantec’s ISTR 2019 report.“.Doc” or “.dot” files represented 37% of malicious email attachments. In 2018, the prevalence of mobile ransomware increased by 33%, according to Symantec’s ISTR 2019 report. Last year, enterprise ransomware increased 12%, according to Symantec’s ISTR 2019 report. Nearly 48% of malicious email attachments are scripts, according to Symantec’s ISTR 2019 report. According to Netcraft, MitM attacks were thought to pose a threat to 95% of HTTPS servers in 2016. More than one-third of exploitation of inadvertent weaknesses involved MitM attacks, according to IBM’s X-Force Threat Intelligence Index 2018. 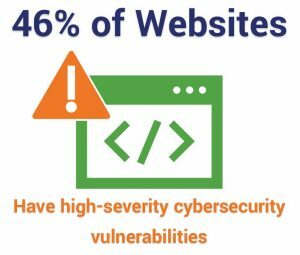 Only 10% of companies have implemented HTTP Strict Transport Security (HSTS) for websites, according to research from W3Techs. Phishing attacks mimicking Software-as-a-Service platforms increased 237% in 2017, according to Phish Labs’s 2018 Phishing Trends & Intelligence Report. The Federal Bureau of Investigation (FBI) reported $12.5 billion in losses to companies between October 2013 and May 2018 due to business email compromise (BEC). 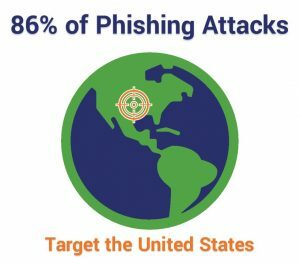 Phish Labs reports that 86% of phishing attacks targeted U.S. victims. Eighty-three percent of global information security respondents experienced phishing attacks in 2018, according to ProofPoint’s State of the Phish 2019 Report. Email is most commonly exploited attack vector, costing organizations millions annually. And for SMBs, the damage can prove fatal: 60% fold within 6 months of falling victim to a cyber attack. Don’t be one of them. Web application vulnerabilities create opportunities for hackers to launch devastating attacks. Hackers launch many types of web application cyber attacks — TrustWave reports the two most common attack method as cross-site scripting (XSS), which constituted about 40% of web attack attempts, and SQL injections (24%). Acunetix’s Web Application Vulnerability Report 2019 reports that websites have 46% high and 87% medium security vulnerabilities. “Application-layer attacks such as SQL injection or cross-site scripting” increased 38%, according to Akamai’s Summer 2018 State of the Internet/Security: Web Attack report. The average number of websites compromised by formjacking code each month in 2018 was 4,818, according to Symantec’s ISTR 2019 report. Acunetix’s Web Application Vulnerability Report 2019 indicates that 2% of its sampled web application targets were vulnerable to remote code execution, which allows a malicious user to execute virtually any code within a web application. As TLS version 1.3 becomes more prevalent, old SSL and TLS vulnerabilities such as Heartbleed and POODLE (affecting TLS versions up to 1.2) have decreased across the internet or become virtually nonexistent, dropping to 0% and 3% of websites respectively, according to Acunetix’s Web Application Vulnerability Report 2019. Three-quarters of network penetration vectors resulted from poor web application security protections, according to a 2019 report on vulnerabilities in corporate information systems by Positive Technologies. Ideally, every company, government, and organization should follow industry best practices to ensure their IT infrastructure, data, and customer information are secure. However, we’ve long since come to realize that expectations and reality are often two very different things. Recent research indicates that most companies lack adequate data protections and have not implemented cyber security best practices. This leaves them vulnerable to data loss, financial costs, and reputational harm. 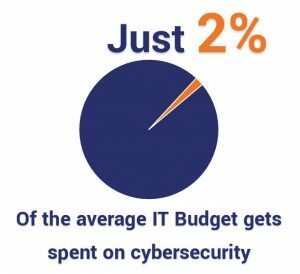 ZDNet reports that only 2% of companies’ IT expenditure last year was used on security measures. The percentage of U.S. employees who lack a basic understanding of cybersecurity best practices is estimated to be 70%. High-Tech Bridge reports that 32% of U.S. companies (16% of European companies) received failing grades for their implementations of SSL/TLS encryption, according to High-Tech Bridge’s report. More than 50% of companies were estimated to be fully compliant with interim PCI DSS (Payment Card Industry Data Security Standard) requirements in 2017, according to Verizon’s 2018 Payment Security Report. Whynohttps.com estimates that 30% of the world’s top 560 websites are not secure. These sites include ESPN.com, BBC.com, Wikia.com, MyShopify.com, Chegg.com &NBA.com. Of the 93% of companies that report having password rules, fewer than 25% require mandatory password changes and 53% require quarterly changes, according to data cited by TechRepublic in a OneLogin survey. According to BulletProof’s 2019 report, 22% of the high and critical-risk issues reported consisted of missing patches, out-of-date or no longer supported software. 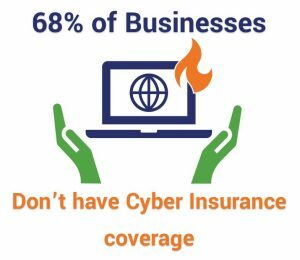 More than two-thirds of businesses neglect to purchase cyber liability or data-breach insurance coverage, according to a Cisco’s 2018 Cyber Security and Insurance paper. More than two-thirds of small business owners lack a disaster recovery (DR) plan, according to a study by Nationwide. The company also reports that 71% of small business owners do not purchase business interruption insurance. Fewer than half of surveyed companies report having an encryption plan or strategy that is applied consistently across their enterprises, according to the Ponemon Institute’s 2019 Global Encryption Trends Study for nCipher Security. The percentage of organizations that now require third-party vendors to meet minimum cyber security requirements, according to a BDO USA’s 2018 cyber governance survey. Almost two-thirds of respondents for the Ponemon Institute/nCipher Security survey say their organizations transfer confidential or sensitive information to the cloud regardless of whether the data is encrypted or made unreadable. 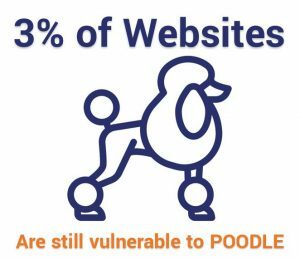 While there are many other cyber security statistics out there relating to the industry, attacks, and vulnerabilities, we can’t cover all of them in one single post. However, many aspects of these statistics will be covered in future Hashed Out blog posts. Be sure to keep an eye out for our upcoming blog post on the topic of the 2019 cybercrime statistics in particular. While cybercriminals represent a significant threat to companies, organizations, and governments alike, it’s easy to see that they are not the only threats or even the biggest ones. In most cases, the critical threats to organizations are their own lack of adequate defenses and employees who are ignorant of cyber threats. Organizations can reduce their risks of cyber attacks by following industry best practices and implementing key defense measures such as employee training and the use of encryption. What are some of the important and recent cyber security statistics that you’ve discovered? As always, we invite you to leave any comments or questions in the comments section below.